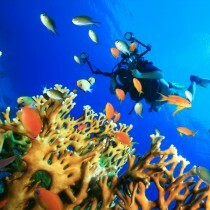 The sea life in a saltwater aquarium is often called “living art”. 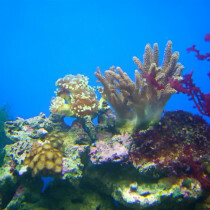 The living art in a Creation of the Sea saltwater aquarium consists of colorfully vibrant fish, invertebrates (e.g., corals and shrimp), and macroalgae. Our colorful aquarium display of sea life helps to stimulate, amaze and relax. 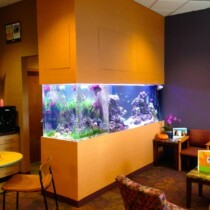 "Saltwater Aquariums Made Naturally and Simple"
Whether you need a saltwater aquarium for medicinal, therapeutic, educational, exploratory, entertainment, or artistic reasons, Creation of the Sea can provide you with a beautiful, quiet and hassle-free saltwater aquarium that can be installed in any space to your satisfaction!. Our company not only uses pure water, salts and minerals to help create and maintain our all-natural saltwater aquarium systems, but provide them as “natural medicinal substances” to benefit the heath of both people and animals as well. 9:00am - 5:30pm "By Appointment Only"
The Sea: A superior source for better health As founder of Creation of the Sea, I. Custom Saltwater Aquariums SELF-CONTAINING, SELF-SUSTAINING NATURAL FILTRATION SYSTEMS NO REMOTE FILTERS NO SALT CREEP ECO-FRIENDLY STANDARD,. Organic Saltwater Aquariums We implement an all-natural methodology for filtering a saltwater aquarium. This methodology sustains. 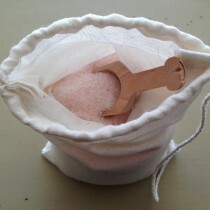 Alternative Medicine Creation of the Sea believes that it is very important to maintain a good. To provide beautiful saltwater aquarium displays and other natural products derived from the sea to help enhance the health, education, and spirituality of people from all walks of life. September 21, 2018 – Hands down then best saltwater install and service company that I’ve ever worked with. I’ve been a hobbyist for almost 20 years. I thought I knew it all, but Creation of the Sea has taught me so much more! My large. March 3, 2016 – We have a 110-gallon reef habitat aquarium which Creation of the Sea installed about a year and a half ago. Lou, the owner, is an expert in all aspects of aquariums. He has created a tank that is of show quality,. November 7, 2015 – Lou is flat out the most honest aquarium specialist out there! That’s beside the most caring, creative, thorough and knowledgeable. He won’t sell you anything you don’t need and he will stand by everything he does! My new tank is doing. Lou – A big THANKS for your help with my aquarium. All I knew was that I loved looking at fish! I was totally clueless when it came to fish and their environment but with your help, I now enjoy a GORGEOUS aquarium in my. Your company just finished installing my new saltwater aquarium and the tank looks great. Great guys to deal with from beginning to end and the owner really knows what he’s talking about. I would recommend them to anyone thinking about purchasing a custom aquarium. They. We couldn’t pass up the opportunity to tell you how thrilled the family is with our new Saltwater Aquarium. Having been undecided for a very long time about whether or not we wanted to take on the responsibility of caring for a saltwater aquarium, when.